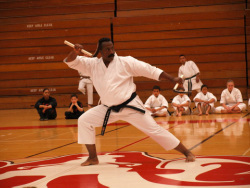 Sensei Cleo Martin began his martial arts training in Tae Kwon Do where he earned the rank of black belt. He also trained for ten years in the art of Judo. 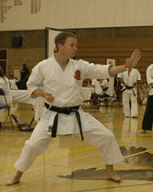 Sensei Martin was awarded the rank of Shodan and the rank of Godan by Shihan Robert Halliburton in 1976 and 2004 respectively. 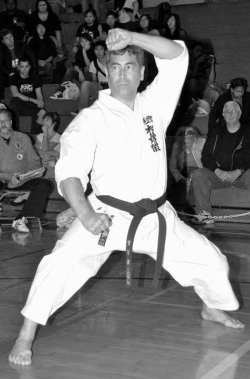 In 2010 Sensei Martin was tested by Soke Kanazawa and was awarded both Yondan (4th degree black belt and Godan (5th degree black belt). In 2017 he was tested by Nobuaki Kanazawa-Kancho, 8th Dan and awarded Rokudan, 6th Dan.